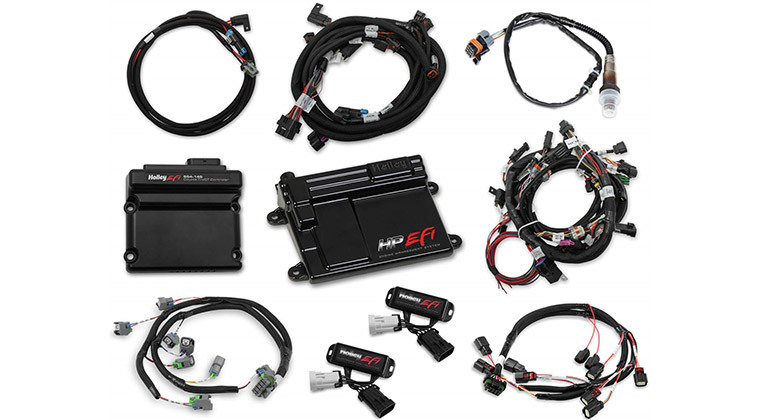 Holley Performance Products is proud to announce the release of its complete line of Avenger, HP, and Dominator EFI systems for those wanting to make the switch from a carburetor or upgrade from their factory ECM’s. 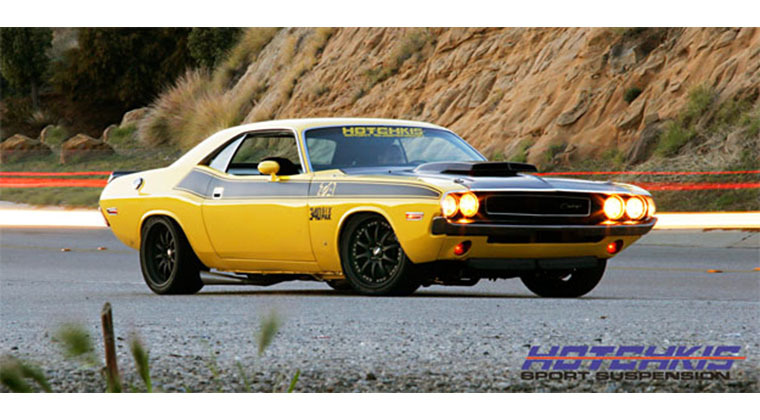 These systems cover everyone from entry-level users all the way to professional racers. 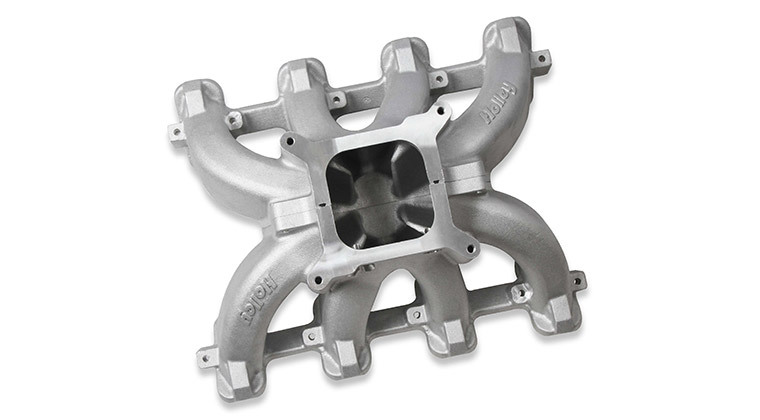 All include Holley’s revolutionary self-tuning fueling strategies to take away tuning fears from novice users or save time for the experienced user. The Avenger EFI systems are complete “bolt-on-and-go” systems. 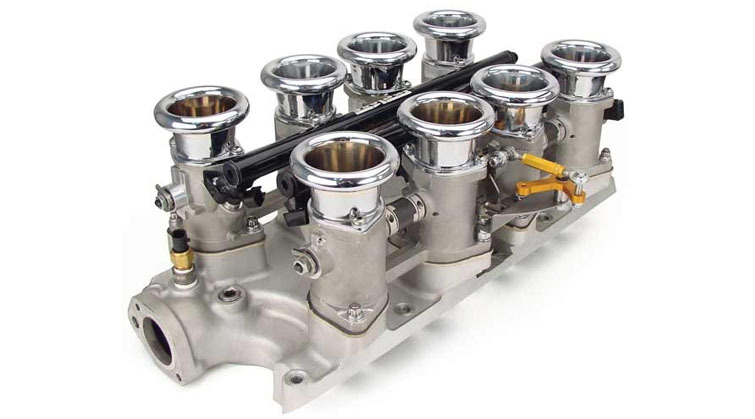 They can be purchased in 2BBL TBI or 4BBL TBI as direct replacements for Carburetors or in 4BBL or Stealth-Ram™ multi-port variations. 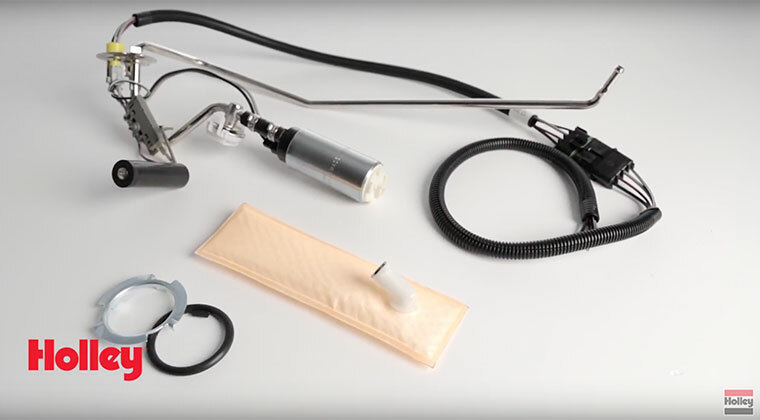 They will feed up to 600 horsepower and setup is performed on the included hand-held controller eliminating the need for a laptop. 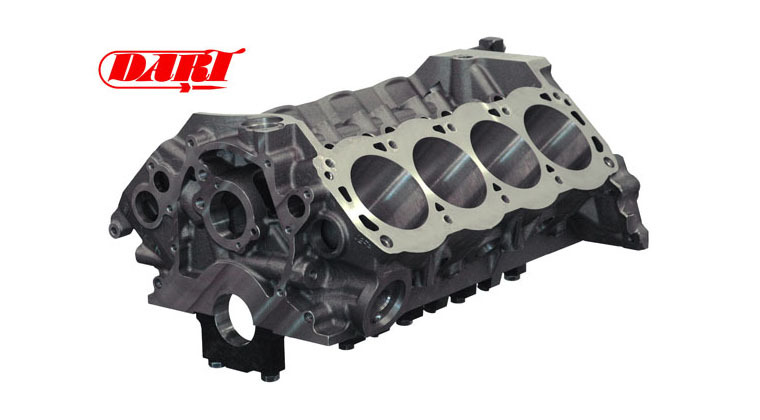 Once setup is completed, the last step is to start the engine and let the Avenger self-tune for optimal performance and economy. 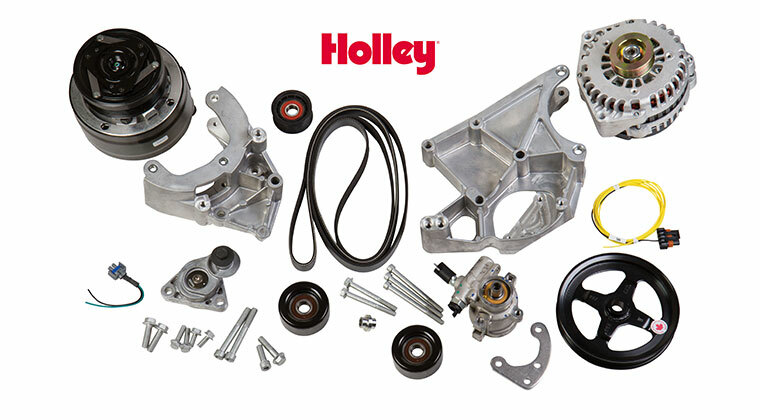 Holley HP EFI systems are capable of controlling applications from mild street cars to full race cars. They are completely tunable via laptop to give users complete control, but also include self-tuning strategies if the user wishes to use them. 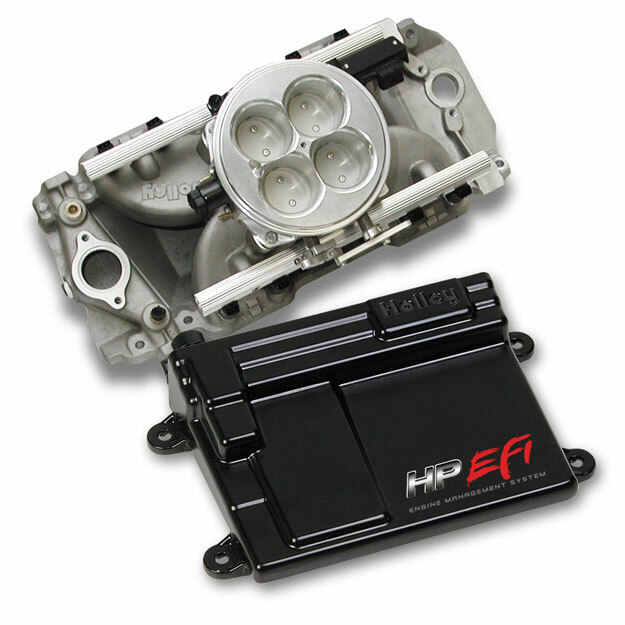 HP EFI systems are available in the same configurations as the Avenger units, plus a universal multipoint, plug & play systems for GM LS engines, and ECU only. 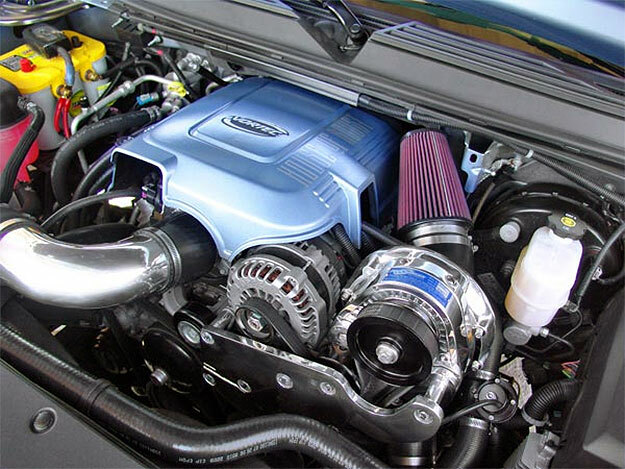 HP systems come with boost control, nitrous control, water/meth Injection control and more by way of 4 configurable inputs and 4 configurable outputs. 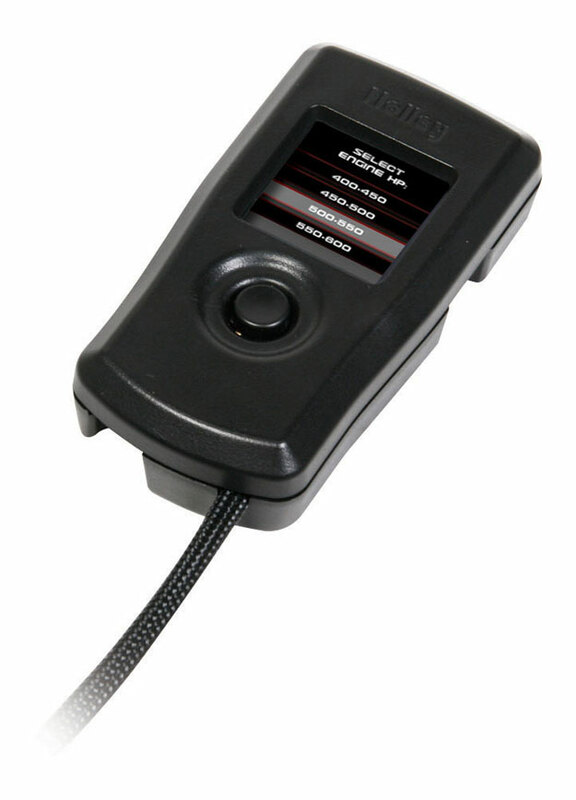 The HPs also have internal data-logging, distributorless ignition control, as well as individual cylinder fuel & spark control. 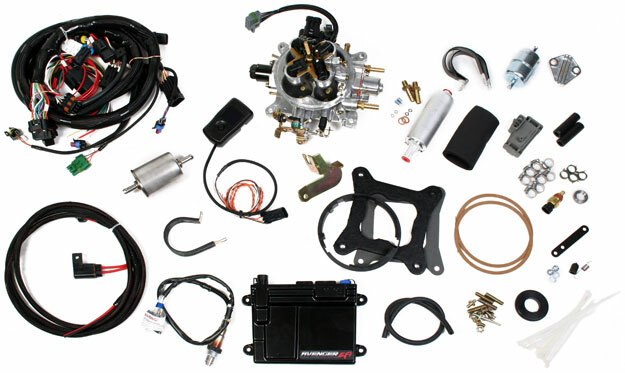 The Dominator system builds upon everything the HP system features, plus the addition of electronic transmission control, drive by wire throttle body control, rev limiters and more. 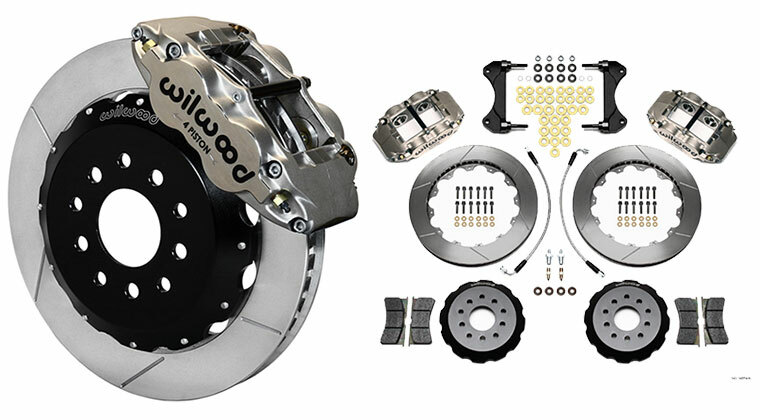 The Dominator systems have a massive amount of inputs and ouputs to allow nearly any combination of usage. 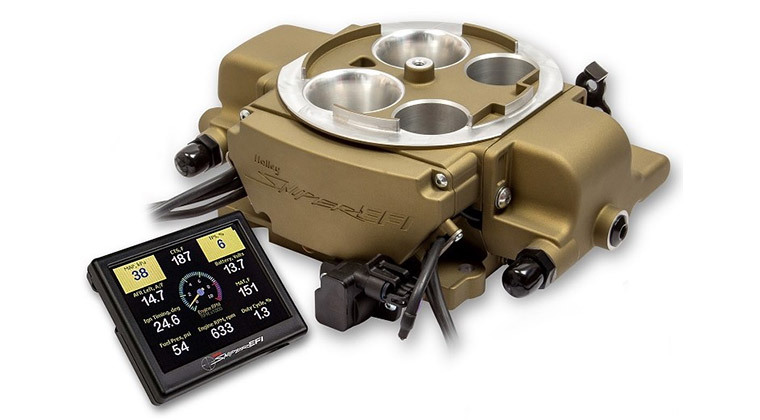 Both the Dominator and HP systems can be tuned with Holley’s unique full color 5.7” LCD touch screen. • Twelve sequentially driven 8:2 peak and hold injector drivers, capable of driving up to 24 low or high impedance injectors as a standard feature. 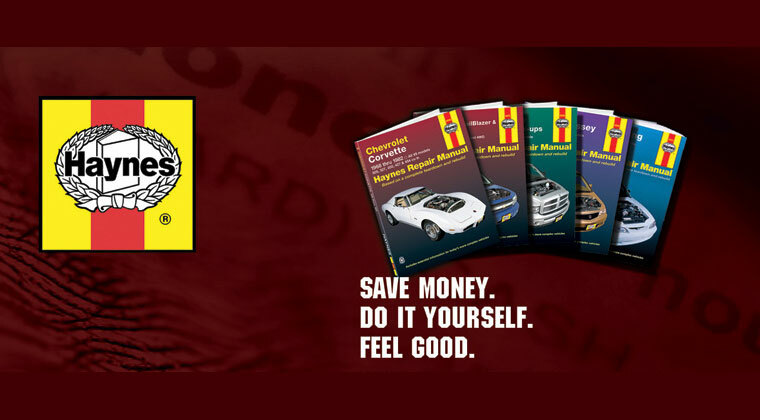 Multiple staged injector strategies. 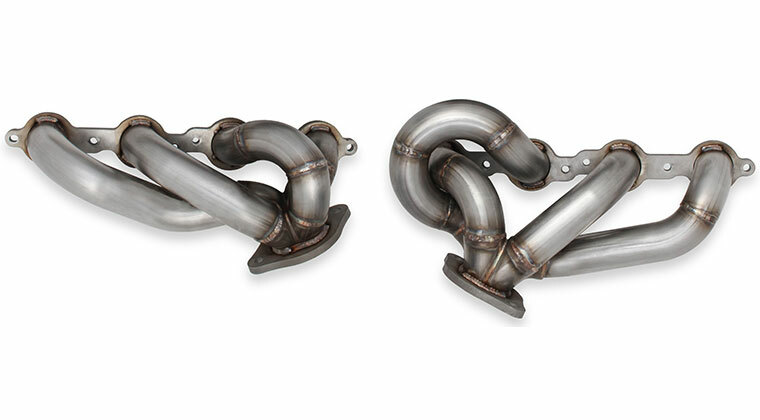 • Integrated dual channel wide band oxygen sensor controls. Works with NTK or Bosch sensors. More channels can be added via CAN bus. 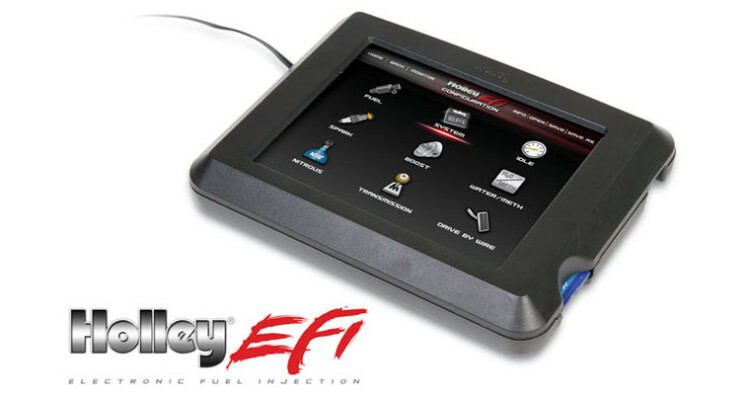 For more information, visit Holley EFI.